NextThe Our Lady of Vladimir. Australian tour interview with Tenille Townes. A while back I heard about this amazing song called Somebody’s Daughter by Canadian-born and Nashville-based country music artist Tenille Townes. Instantly I was blown away by its heartfelt lyrics, which was inspired in part by Townes recollection of seeing a homeless girl holding a cardboard sign at a Nashville intersection. Moreover I was moved by Townes infectious vocals set against a lively country pop sound. With a little more investigation I would discover an alternative version of Somebody’s Daughter by way of her intimate acoustic four-song EP Living Room Worktapes. At this point after listening to her EP, I thought Tenille Towne could do no wrong, even if she tried. Interestingly, in my quest to find out more about her, I would also read an incredible article written by NPR Music’s Jewly Hight entitled “Nashville’s Newest Voice”. What I would unearth would inevitable lead me to put in a request to interview this amazing young woman. Of interest, I would learn that Townes first public appearance came at the age of nine. With Tenille’s mum’s help, they created an eye-catching sign and a stage costume on the eve of a Shania Twain concert in the hope that Twain would invite Tenille to sing on stage with her. It worked and Tenille set in motion her dreams of becoming a country music star. Fast forward some sixteen years later to the present, Tenille Towne is reminded everyday of the power of music and how it brings people together, not just because of her brush with fame alongside Twain but in her life experiences and milestones as an aspiring musician and songwriter. Amazingly, in addition to being a musician, Tenille is a humanitarian and patron to many worthy charitable causes including one of her own called Big Hearts For Big Kids, which has raised over $1.5 million. Fortuitously, Tenille is currently on tour and is about to embark on the back end of her Australian tour which concludes in my home city of Melbourne later this week. That said, I like to think Tenille Towne and I share the same worldview and as luck would have it I managed to catch Tenille to ask her some of the burning questions on my mind. Here is some of what we talked about. The story of you as a kid holding up a sign at a Shania Twain concert and begging to sing alongside her on stage and it actually happening is absolutely incredible. Have you ever spoken to Twain since about that whole experience? I’m hoping you have a great follow-up story about it. I had the chance to meet her last year at a Billboard Event in Nashville. When I walked in, it was just wild standing there and knowing that we were in the same room. Later in the evening, someone introduced me to her, and I was shaking and fumbled through words trying to say thank you. I don’t know that I’ll ever be able to say how much impact her music, her story and her path has had on me. And I’ll spend the rest of my life trying to pay that forward. Without saying too much, when I say Nashville, what comes to mind first? Community. It’s pretty cool to get to wake up and be surrounded by people that are all working towards a dream. I’m so grateful for everyone who believes in this path and that I get to walk alongside as this all moves forward. Empathy and the concern for other people is something that is innate in most of us. I understand that is one of the most important qualities that you like about your favourite songwriters. Who are some of your favourite songwriters and how have they made you a better songwriter? I absolutely love Lori McKenna and how she is so vivid in the way that she paints her lyrics. It’s so ordinary in the most beautiful way, and feels so honest and raw. I’m also a huge Patty Griffin fan, for many of the same reasons. There are so many songwriters in the Nashville community that I look up to like Tom Douglas, Gordie Sampson, and Josh Kear. Being surrounded by a community of the incredible writers in this town always makes me hungry to wake up every day to keep practicing and getting better. That said, I understand you have always been a very compassionate individual. That’s evident especially in the form of your charitable work. In my former life as a community youth worker my role in connecting and helping people was rewarding beyond my wildest dreams. What is the motivation or drive behind your life choices? What I love most about music, is its ability to bring a group of people together with a common ground. It has been life changing for me watching what music can do to create a platform to help others. That’s what drives me the most. I grew up with amazing support from my family and the community around me and we always had conversations about how we could help those around us who maybe didn’t have the same support system. Big Hearts For Big Kids is a fundraising concert that was birthed out of those conversations, in an effort to raise money for our local youth shelter. Amazing things can happen when everyone sits down and gets connected by a song or by a mission and starts going ‘wow, we can really do something amazing if we work together on this.’ It makes me excited to watch how that impact can grow as the music grows. Somebody’s Daughter is a sobering perspective of life. It’s also quite an empowering song in a lot of ways. Was that the message were you aiming to send? How have people reacted to it? Aw thank you for saying that. My hope was the the song would empower people to notice others around them, and to think about how much a wave and a smile can really mean to somebody. The little things matter, because everybody has a story. And people have had the courage to share some pretty amazing stories about how they extend that empathy to others in their own lives. A few weeks ago a kind woman shared a story about taking the time to buy a man a warm meal after asking to ask him for directions, talking with him, and realizing that he needed something to eat. Hearing stories like that mean the world to me and make me grateful for people’s generosity. Can you tell me a little bit about what you hoped to capture visually with Somebody’s Daughter amazing music video? Getting to tell the story visually for a song is a pretty cool thing and my heart for this video was to capture the wonder and essence of a kid, remembering that we were all once that young person at a lemonade stand no matter where our path takes us from that point. I think imagining the beginning of anyone’s story is a powerful thing. And I absolutely loved the vision that the director, P.R. Brown had for this video and am so happy and grateful for the way he brought it to life. White Horse is arguably my favourite song this week. I love the different spin you have put on it as a love song. Its unconventional approach is refreshing as is how you have expanded upon it sonically from its acoustic roots. Can you tell me something surprising about how it came about in the studio? This was a song I wrote with my friends Jeremy Spillman and Daniel Tashian. Daniel has three adorable little girls, and we were talking about the fairy tales they read and the ideas they make up in their minds about what true love looks like. I think the magic of those stories is something to always hold on to, but I think it’s important to believe in love even past those ideas. I love that this song stands strongly in the idea that it isn’t always about the ivory towers and the roses. I have a lot to still learn about love, but it’s exciting to me that it can be something that takes us a little bit by surprise. I had a blast working with Jay Joyce on this one in the studio. He isn’t afraid to try anything, and truly trusts the process, which really allows us to build things from the ground up. I love digging into the song in that kind of way. With your four-song project Living Room Work Tapes giving us a glimpse of where you might go next. What is next for Tenille Townes? This summer I get to go back out on the Burning Man Tour with Dierks Bentley, and I’m so excited for that. It’s been a dream getting to be out on the road with him and seeing how he goes the extra mile to treat everyone with kindness. And I am very much looking forward to getting some more music out there soon! 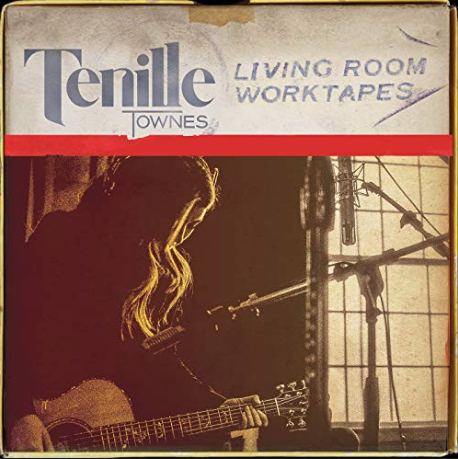 Tenille Townes music including her EP Living Room Worktapes is available on all good online stores and digitally to stream via Apple Music and Spotify. For more information on Tenille Townes you can visit her website. You can also connect with Tenille via her on Facebook page. Follow her on Twitter. Follow her on Instagram. Watch her on You Tube. 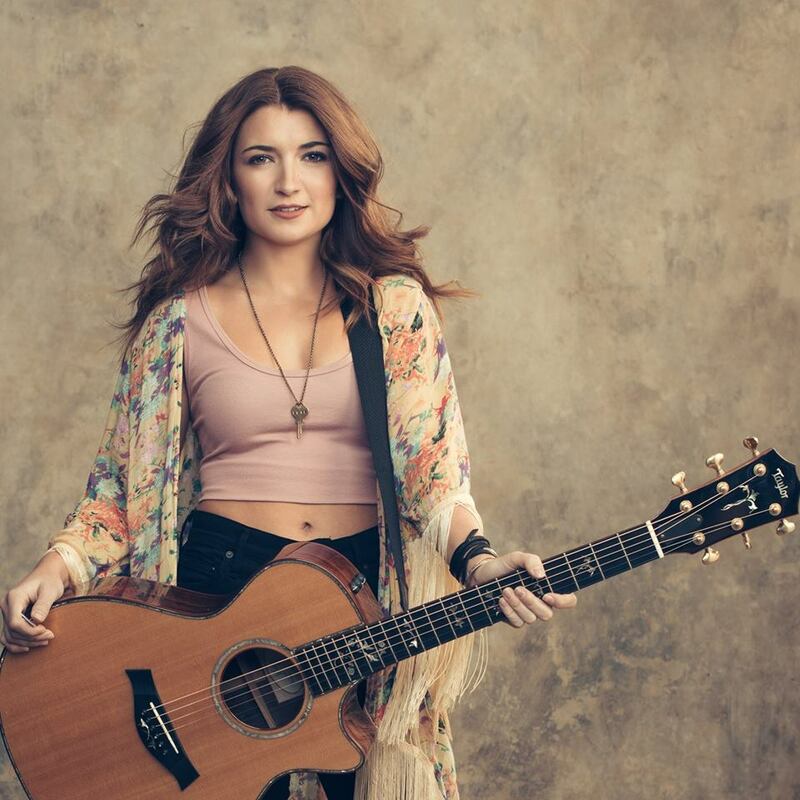 For more information on Tenille Townes forthcoming Burning Man Tour with Dierks Bentley in late March through to August click HERE. Photo credit: All press photos are courtesy of Tenille Townes management team. I am not the uploader of You Tube clips embedded here. The Our Lady of Vladimir. Guitar Heroes: Bryan Adams ‘Run To You’.